Prof Christine Loscher is currently the Director of Dublin City Universitys new Health Technologies Research and Enterprise Hub. She completed her PhD in Immunology at the National University of Ireland, Maynooth in 2000 and was awarded a Health Research Board Fellowship to pursue her postdoctoral studies at Trinity College Dublin. In 2003 she moved to the Institute of Molecular Medicine at St James Hospital to continue her research and then was appointed to a permanent academic position at DCU in 2005. Since then she has established the Immunomodulation Research Group, has developed significant expertise in commercial research and industry engagement and has secured over E4M in external funding (E250K directly from industry) for her research. Furthermore, she played a central role in 3 of DCUs major strategic initiatives under the governments PRTLI 4 and 5 schemes to the value of E28M. She currently holds a number of other strategically important positions within the University. She is the Director of the BioAT Programme, a E5.6M multi-disciplinary training and research programme spanning 6 academic institutions. She led this initiative for DCU on behalf of 6 institutions and has designed, developed and implemented the programme. She is also Director of the Nano-Bioanalytical Research Facility, a E16M facility currently being built at DCU which is designed to provide a significant infrastructural enhancement to DCU to facilitate new developments in emerging areas at the interface of the science, engineering and technology disciplines. 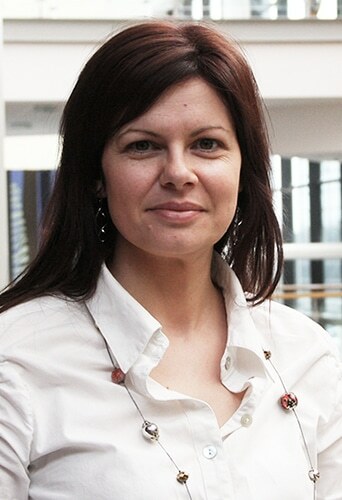 Her diverse roles have provided her with an extensive knowledge of the research landscape and in her current role as Director of the Health Technologies Hub, she is exploring opportunities to develop strategic partnerships by using DCUs unique research expertise to address Industry’s emerging challenges.